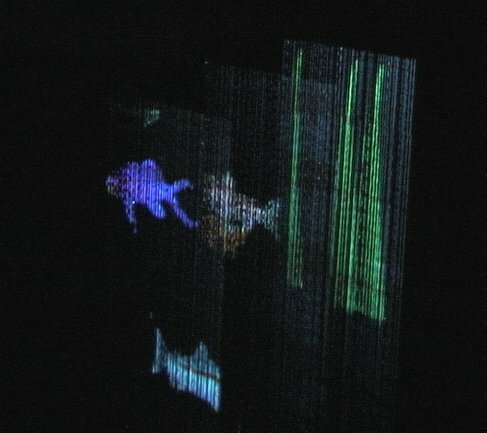 We present a multi-layered display that uses water drops as voxels. 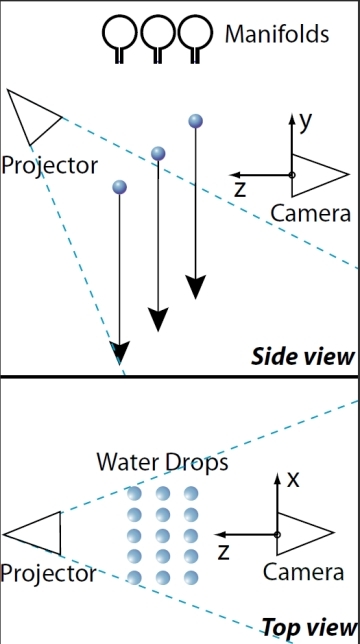 Water drops refract most incident light, making them excellent wide-angle lenses. 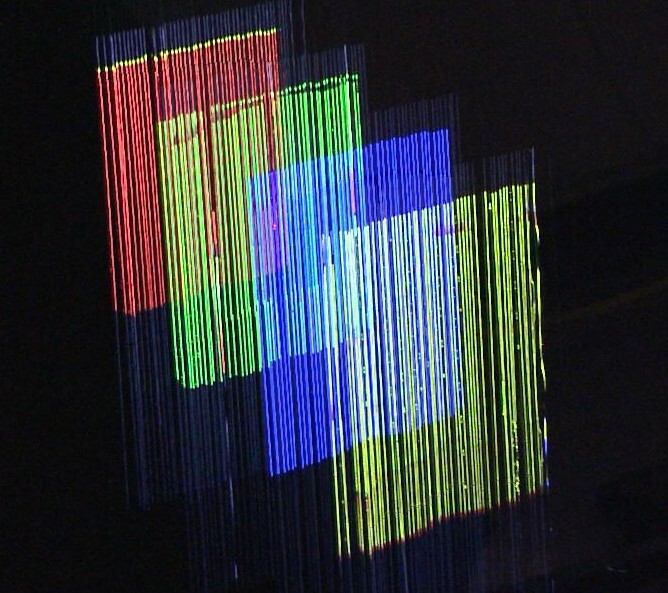 Each 2D layer of our display can exhibit arbitrary visual content, creating a layered-depth (2.5D) display. 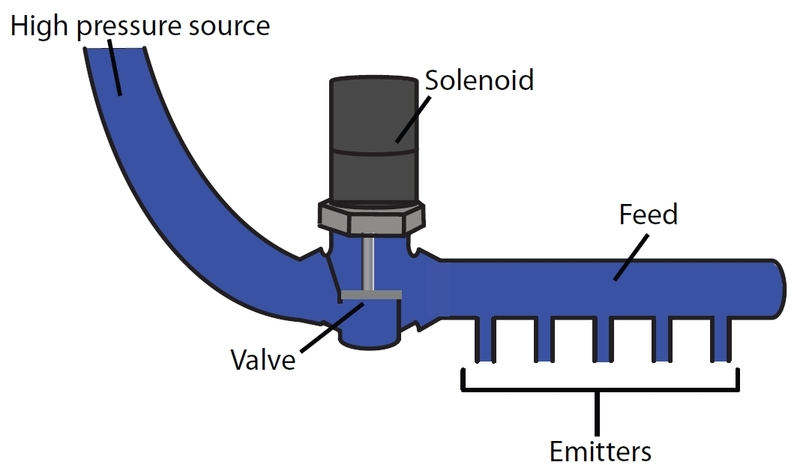 Our system consists of a single projector-camera system and a set of linear drop generator manifolds that are tightly synchronized and controlled using a computer. 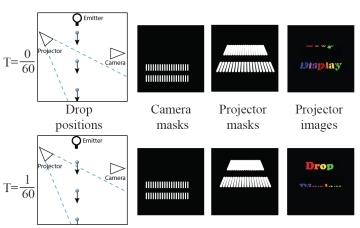 Following the principles of fluid mechanics, we are able to accurately generate and control drops so that, at any time instant, no two drops occupy the same projector pixel's line-of-sight. 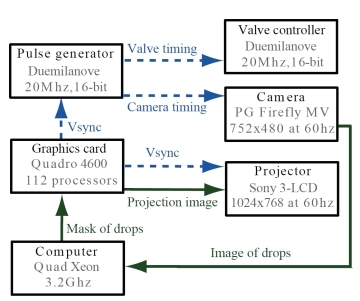 This drop control is combined with an algorithm for space-time division of projector light rays. 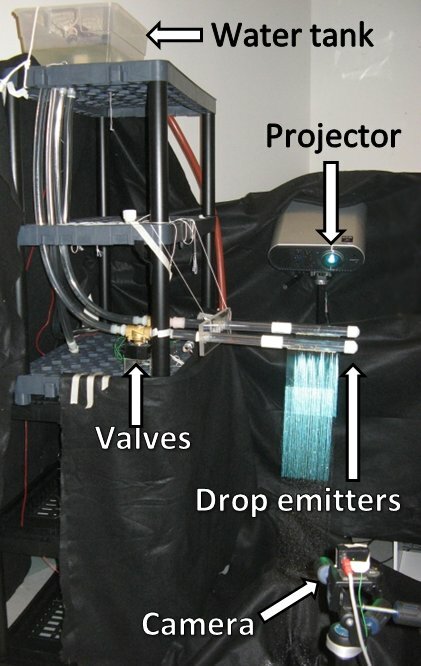 Our prototype system has up to four layers, with each layer consisting of an row of 50 drops that can be generated at up to 60 Hz. 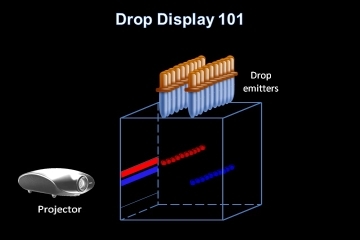 The effective resolution of the display is 50 x projector vertical-resolution x number of layers. 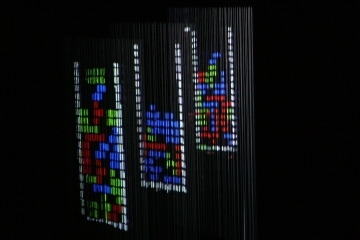 We show how this water drop display can be used for text, videos, and interactive games. 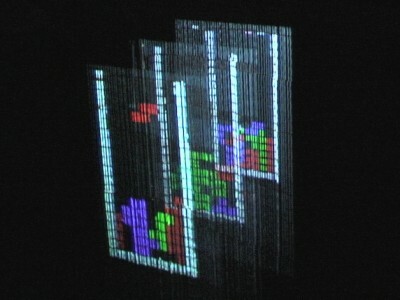 "A Multi-Layered Display with Water Drops"
"Water droplets create multilayered display"
"A Multi-Layered Display with Water Drops (w/ Video)"
"New 3D display technology projects multi-layered images onto water droplets"
A summary of the drop display process, using drops being emitted at 30hz and a projector refreshing at 60hz.